Heights Finance Corporation offers a full line of consumer loans and credit and non-credit insurance products and services. The company offers direct personal loans and sales finance dealer contracts, all repayable in monthly installment payments, at over 100 branches in Illinois, Indiana, Kentucky, Missouri, Tennessee and Wisconsin. Heights Finance Corporation prides itself on offering its customers 5 STAR Service: Smile, Thank, Ask, Respond, Serve. Kelli Zaremba has her hands full. As Branch Support Purchasing Specialist for Heights Finance Corporation, she’s responsible for managing more than 250 printers in 130 locations spanning six states. Needless to say, having a great Managed Print Services partner is a must. Before making the switch to Marco, Zaremba was frustrated with the level of service she was receiving from her provider for a number of reasons. Besides not having visibility into the use and maintenance details of each device—making it difficult to budget and allocate the costs of printing per location—she was disappointed with the level of technical support her team received when issues warranted a service call. So when she was tasked with refreshing all of those devices, she saw it as the perfect opportunity to take a fresh look at Managed Print Services providers. When Zaremba met with her Marco technology advisor for the Illinois region, she discovered that Marco already had a relationship with Heights Finance Corporation’s sister company, MidCountry Bank. This prompted Zaremba to look deeper into Marco and its services. More importantly, Zaremba got a new, clear look into her organization’s printing usage. With Marco’s print management software, Zaremba is able to capture precise information on every device in all locations. That makes it easier to budget, manage and allocate costs for each branch. It also provides her with more visibility into the history and maintenance needs of every machine. 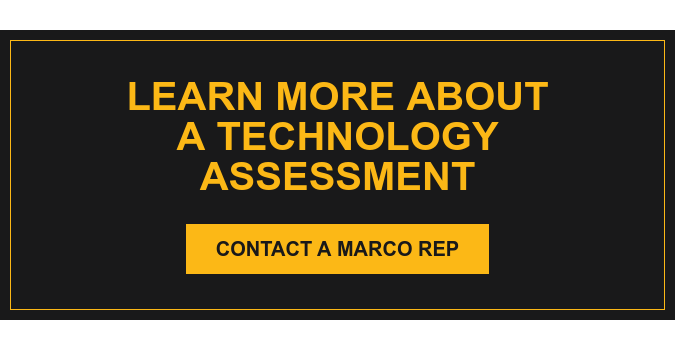 “Marco has definitely streamlined our processes and improved our printer management. Knowing what’s going on with each machine helps me to be more proactive than reactive. That’s been key for us,” added Zaremba. Zaremba has also been pleased with the responsiveness and quality of the support that Heights Finance Corporation has received.